For the period from mid 2009 until January 1, 2012, the Thulani Program focused on dogs from the greater San Francisco Bay region. As of 2012, we committed to expanding our geographic coverage to include all of California and close-in areas of adjoining states. 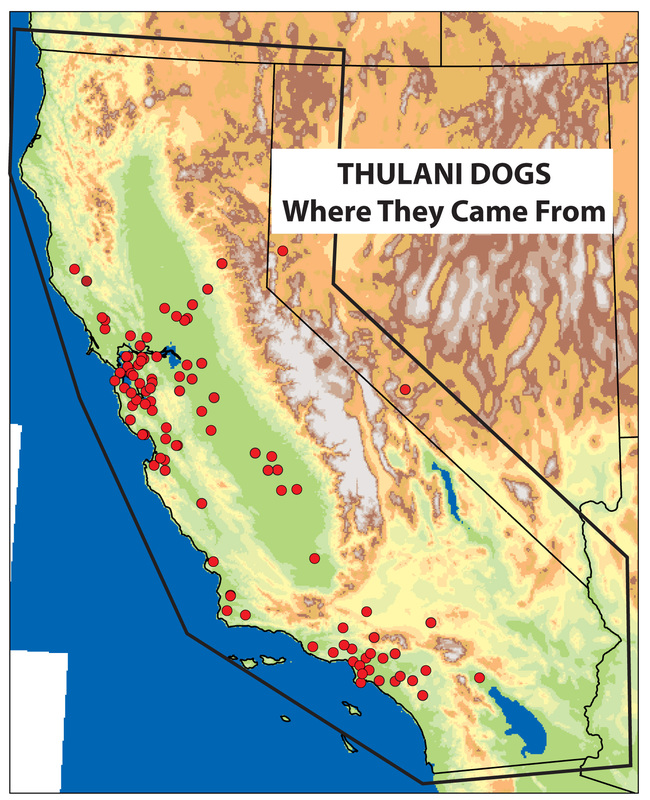 To the left is a map of our intended areal coverage and the locations (red dots) from which our past and current Thulani dogs have come. We plan to encourage other groups to form Thulani-like organizations around the US and Canada. We will help them grow, and may even join with them as we have with Thulani Mid-West. Do you have an area near the San Gabriel Valley in Southern Cal?